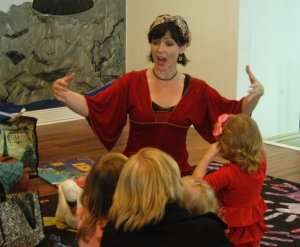 with Kids Yoga Classes and Storytelling! • Check the Schedule for when Sydney is putting on live classes, storytelling concerts and sing-alongs with a Storytime Yoga Day Training. 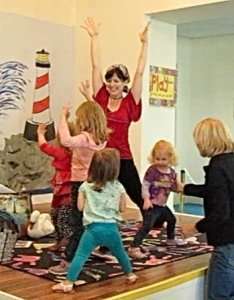 From story warm-ups to multicultural wisdom tales and kids’ original stories acted out with yoga poses, children play and learn with Storytime Yoga. 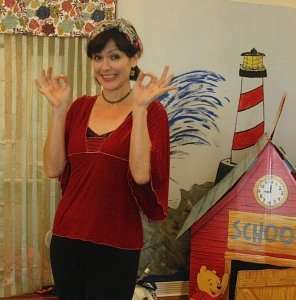 In unique children's and family yoga programs, Sydney retells classic wisdom tales from around the world, and children act them out with yoga poses! 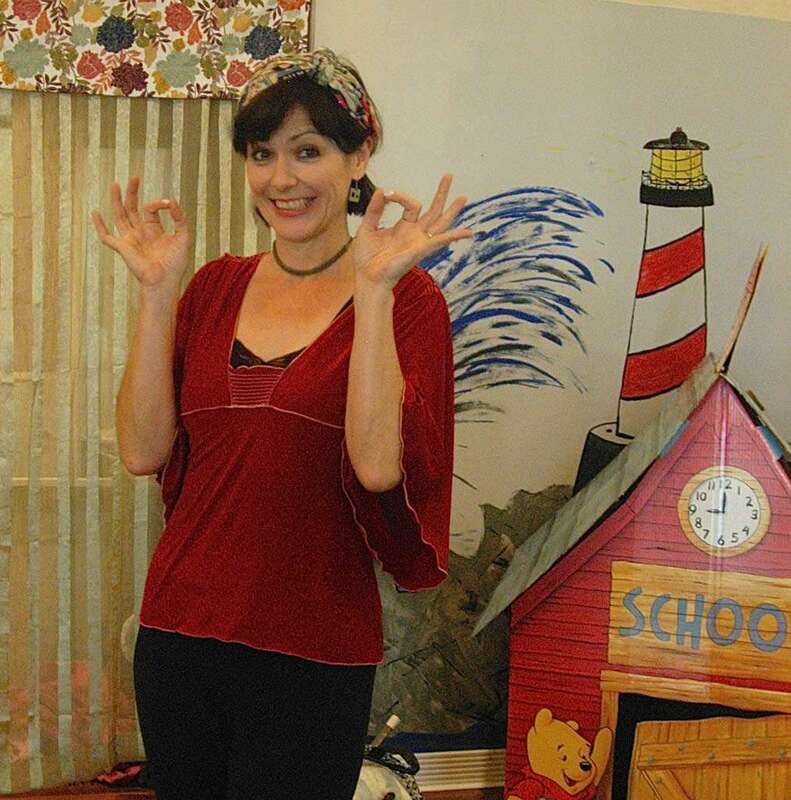 Or children learn to tell their own stories and fairytales and script yoga poses with them! Children also learn yoga philosophy, peace and character education through storytelling. Plus, songs, story warm-ups, story meditations and more! If you’ve ever been captivated by Sydney Solis’s mesmerizing personality on video, in writing, or other media forms, wait till you see her in a live performance! Sydney brings passion, energy, and creativity to all her live events. 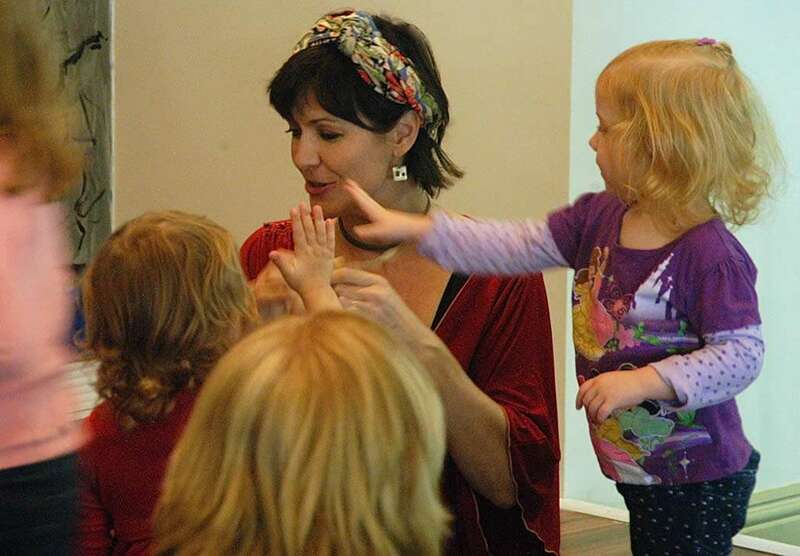 There’s nothing quite like seeing her in action, in person, living the philosophy behind Storytime Yoga®. When performing stories, Sydney goes deep into character to play fictional roles – changing voices, using props, and moving playfully before her audience. While teaching yoga, she uses her soothing voice to calm students, helping them pay attention to their breathing, and guiding them into a state of greater awareness and enhanced mind/body connection. Whether it’s a specially tailored yoga class for your school, a rejuvenating yoga retreat designed to connect body and soul, or a thought-provoking lecture on yoga philosophy, you and your kids/teens will enjoy Sydney’s spellbinding, engaging presentations. 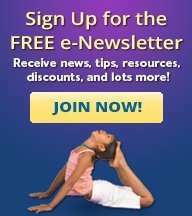 Find a Storytime Yoga Teacher near you for classes. Or learn the Storytime Yoga® method yourself so you can host your own sessions at home or in public! Following are more details on what you can expect from Sydney’s events. Every class features Sydney’s delightful teaching of a yoga philosophical theme through a story culled from the world’s wisdom traditions. Children learn the Namaste song about respect for others, the breathing song for correct breathing, meditation, the sun salutation chant and more! Children learn Spanish, conduct and poetry from Lalita the Mariquita, and healthy eating and anatomy from Mr. Bones. 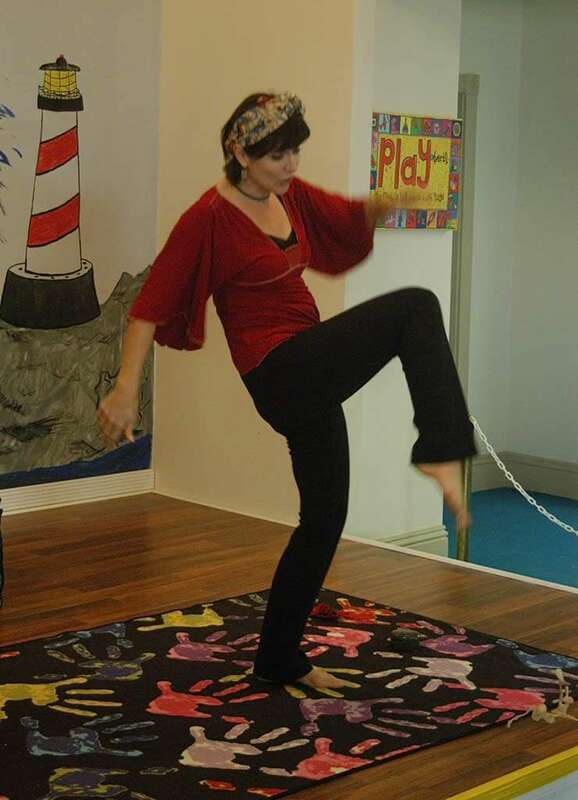 Jean-Jaques Jeune Gens the pirate teaches yoga philosophy before every story, which children hear then retell with yoga poses! Finish with a “Story Siesta” of deeply relaxing yoga nidra for children with story. 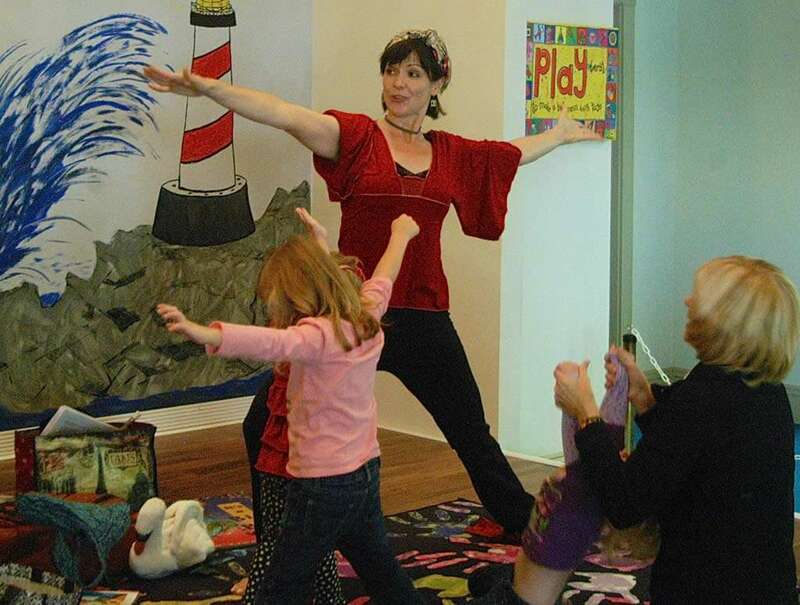 Start a Family Yoga and Storytelling Hour in your home for health, literacy, and communication! Attend a Storytime Yoga Family class and have fun together while learning to tell stories. Fun and interactive performances are available for children and their parents as Sydney tells wise and wonderful tales from the world over. Stories emphasize self-confidence, peace, and character education through personal stories and wisdom stories from many traditions. Sydney enchants the youngest of audiences with her enthusiastic, participatory tellings. The Treasure in Your Heart: Sydney activates children’s power of imagination through multicultural wisdom tales from the world over. From the English “Peddler’s Dream” to Chinese “Maybe, Maybe Not,” children will discover their self-confidence and the power of their imagination to make their dreams come true. Performances: 30-45-60 minute performance for K-6th grade. Stories of Faith Healing and Transformation: Children learn yoga philosophy through the world’s religions. Stories from Hindu, Buddhist, Christian, Jewish, Sufi and Native American traditions, yoga, peace and tolerance education. Sydney helps listeners tap into the universal wisdom inside the heart. For the Love of Story: Enchanting tellings of world myths, fairytales, folktales and more to act as guides for children’s inner and outer life. The Golden Cucumber – Stories from Indonesia. A fantastic trip to Indonesia! Hear the story of Sydney’s father, who was born on Java in 1933 when it was still a Dutch colony. Then hear lively renditions of traditional folk tales. The Treasure in Your Heart: Sydney activates children’s power of imagination through multicultural wisdom tales from the world over. From the English Peddler’s Dream to Chinese Maybe, Maybe Not, children will discover their self-confidence and power of their imagination to make their dreams come true.